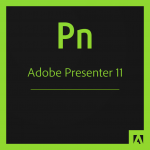 Today Adobe released Adobe Presenter 11 and Adobe Presenter Video Express 11. 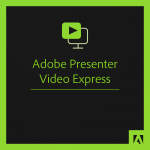 Presenter Video Express is included with purchases of Adobe Presenter 11, but now you can subscribe to Presenter Video Express alone if you just want the video tool. In this post, I’ll tell you about both tools, describe what’s new, and share my favorite features.